“A strong US-Mongolia defense relationship is important as part of the American re-balance to the Asia-Pacific region,” said Hagel at a joint press conference. 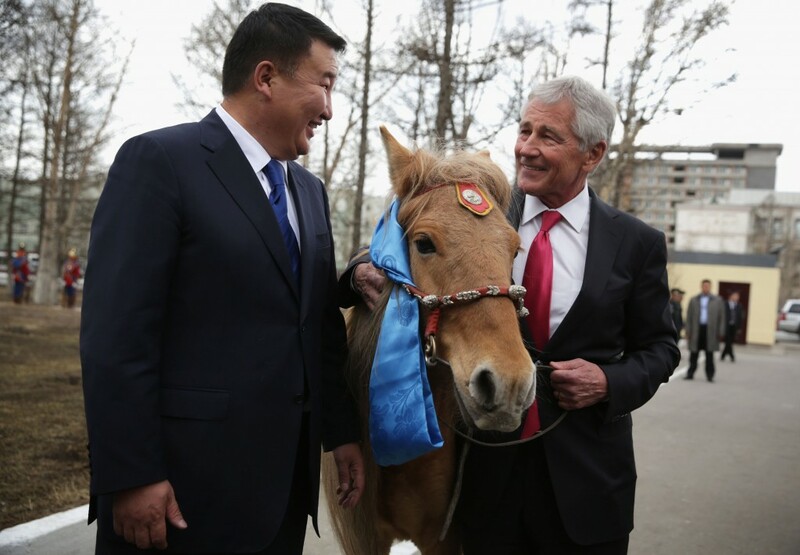 As part of tradition, Secretary Hagel was also presented with a horse by the Defense Minister. With the tradition stipulating the horse be named after something of importance to its recipient, Hagel chose the name Shamrock, after the mascot of his high school, St. Bonaventure, in Columbus, Neb. “It was one of the most important times of my life,” he said. Hagel’s visit to Mongolia wraps up a 10-day trip to Asian countries. The horse, however, will be staying in Mongolia to serve in the country’s honor guard battalion.